Below is a comprehensive list of hotels in Chesters Roman Fort (Cilvrnvm). Use the sort links to refine your search or to find featured accommodation in Chesters Roman Fort (Cilvrnvm). Many of our hotels in Chesters Roman Fort (Cilvrnvm) feature no booking fees and best price guarantee when booked through the Pictures of England website. To list your hotel in Chesters Roman Fort (Cilvrnvm), click here. Willow Cottage is a holiday home with a garden, situated in Acomb. The unit is 32 km from Newcastle upon Tyne. A dishwasher and an oven can be found ..
Ranters Chapel is a semi-detached holiday home with a garden, situated in Hexham. The unit is 31 km from Newcastle upon Tyne. Free WiFi is provided th..
Best Western Beaumont Hotel is situated in the heart of the market town of Hexham, less than 10 minutes’ walk to the rail station. With a restaurant..
A 2-minute walk from the train, Station Inn in Hexham offers bed and breakfast close to the town centre. With a restaurant and bar, Station Inn serves.. 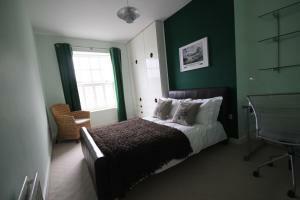 The County Hotel offers pet-friendly accommodation in Hexham. Guests can enjoy the on-site bar. The rooms include a flat-screen TV. Extras include fr..
Anick Grange is a working farm located just off the A69 with the market town of Hexham 2 mi from the property. The traditional bed and breakfast is w.. Located 33 km from Newcastle upon Tyne and 41 km from Durham, Low West offers pet-friendly accommodation in Hexham. The property is 48 km from Sunderl..
Groom'S Bothy is a holiday home situated in Wark in the Northumberland Region and is 40 km from Newcastle upon Tyne. The unit is 49 km from Alnwick. 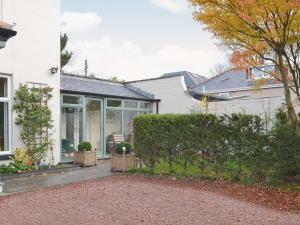 ..
Offering a barbecue and terrace, Hadrian Lodge is set in Haydon Bridge. Newcastle upon Tyne is 41 km away. Free WiFi is offered . All units include a.. Located in Wark, 41 km from Newcastle upon Tyne, The Black Bull Hotel features free WiFi access and free private parking. 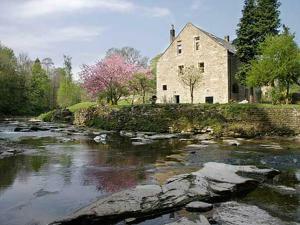 Guests can enjoy the on-site..
Old Repeater Station is located in Grindon, 43 km from Newcastle upon Tyne. Guests can enjoy the on-site bar. Free WiFi is featured throughout the pro..
Coachmans Cottage is a holiday home situated in Wark, 41 km from Newcastle upon Tyne. The property is 48 km from Alnwick and free private parking is f..
Set in Wark in the Northumberland Region, this holiday home is 41 km from Newcastle upon Tyne. 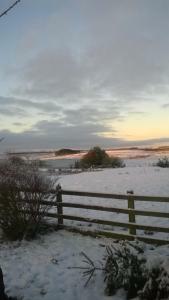 The property is 48 km from Alnwick and boasts views of .. Located 26 km from Newcastle upon Tyne, The Lodge At Meadowfield offers pet-friendly accommodation in Corbridge. The unit is 36 km from Durham. Free W.. In a converted watermill just 5 minutes’ drive from Hexham, Dilston Mill B&B has a secluded riverside location overlooked by Dilston Castle. With a .. The West Wing offers pet-friendly accommodation in Corbridge, 26 km from Newcastle upon Tyne. The unit is 36 km from Durham. There is a dining area a.. Featuring free WiFi throughout the property, The Golden Lion offers accommodation in Corbridge, 26 km from Newcastle upon Tyne. Guests can enjoy the o.. 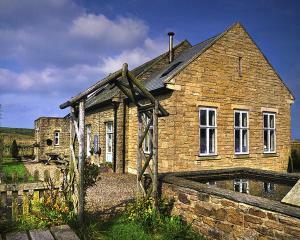 Located 26 km from Newcastle upon Tyne, The Stable offers pet-friendly accommodation in Corbridge. The property boasts views of the garden and is 36 k..
Quince Cottage is a holiday home located in Corbridge in the Northumberland Region and is 26 km from Newcastle upon Tyne. The property boasts views of.. Located 26 km from Newcastle upon Tyne, The Garden Rooms offers pet-friendly accommodation in Corbridge. The property features views of the garden and..